Following on from the success of previous year's pre-Common Riding Community Litter Picks we will be repeating the exercise on Sunday 10th May from 1.00pm to approximately 3.00pm. 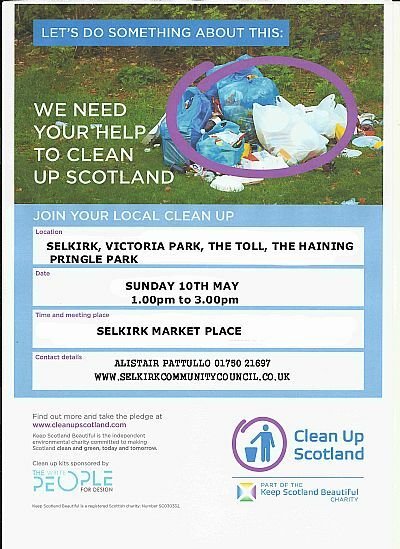 Volunteers should meet in The Market Place at 1.00pm. Picking equipment, gloves and bags will be provided by SBC. For Further information or to volunteer Telephone: Alistair Pattullo 01750 21697 or leave your details on the feedback page.